Auto Windscreens - the UK's second-largest windscreen replacement company - has gone into administration, placing 1100 jobs at risk. "Regrettably due to the Administration of the Company all operations have been temporarily suspended. We hope to resume shortly. In the interim, if your query is in relation to either a previously scheduled appointment, rectification work or a new booking and is of an urgent nature we would advise you to contact your insurance company or fleet provider to arrange alternative options." 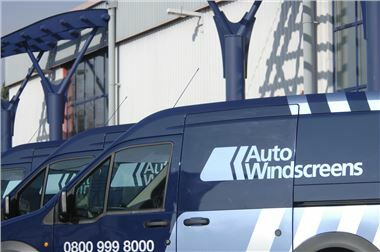 Auto Windscreens was the number two player in the UK replacement windscreen and repair market, serving major motor insurers, fleet businesses and private individuals. The company operates a network of 68 fitting centres across the UK, 550 mobile units, a distribution centre in Aston, Birmingham and a central call centre. The company is headquartered in Chesterfield, and employs around 1,100 staff and had an annual turnover of c.£63m. The company had been implementing a major operational improvement plan, changing the business model to deliver significant operational efficiencies. The main aspects of the restructuring plan had been put in place. However, delays in implementation of the IT systems, coupled with lower than anticipated revenues in the final quarter of 2010, had led to cash flow pressures. It had been in extensive discussions with a large number of interested parties to provide the funding required to recapitalise the business. However, before a recapitalisation could be agreed, the company received a winding up petition from a large creditor and also had notice from one of its major customers that it was terminating the contract. There are no funds currently available to be able to continue to trading. The Administrators have therefore approached the major customers to seek urgent funding in order to trade the business in the short term whilst a sale is pursued. Joint Administrator Matt Cowlishaw, partner in Deloitte's Reorganisation Services team in the Midlands, commented: "It is extremely disappointing to see such a well-known business enter administration. The company worked extremely hard to try and recapitalise the business, but unfortunately this could not be achieved in the time available."